If you weren’t keeping up already, we spent the last week on the Baja peninsula with Redline Racing Texas trying to push our way to the finish line of the baddest off-road race on the continent for the second year in a row. It was a week full of unbelievable action, sleepless nights, & non-stop effort that unfortunately left us short of the finish line and stranded in the desert, but with a story you won’t want to miss. Make sure you subscribe to our YouTube Channel to catch the full details coming soon, and check out our Facebook Page and Instagram for exclusive content from the race! 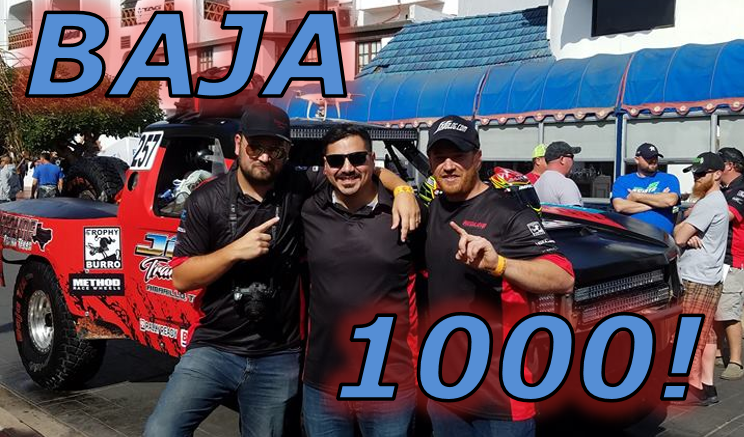 Be the first to comment on "SCORE Baja 1000 – We’re Back!"